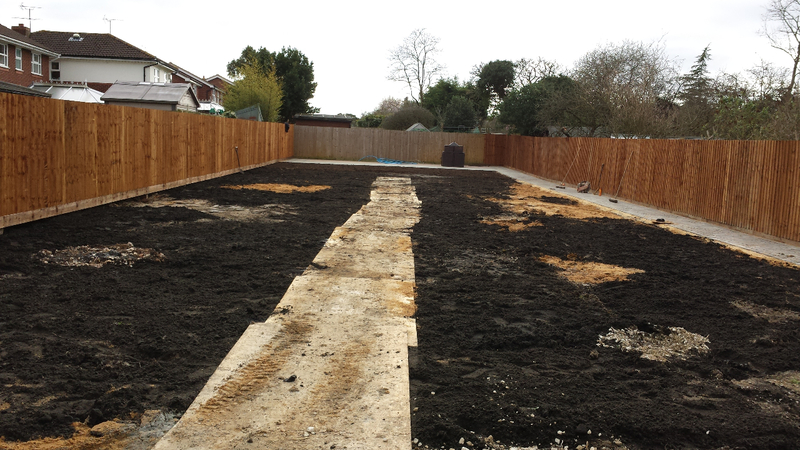 Complete back garden transformation. 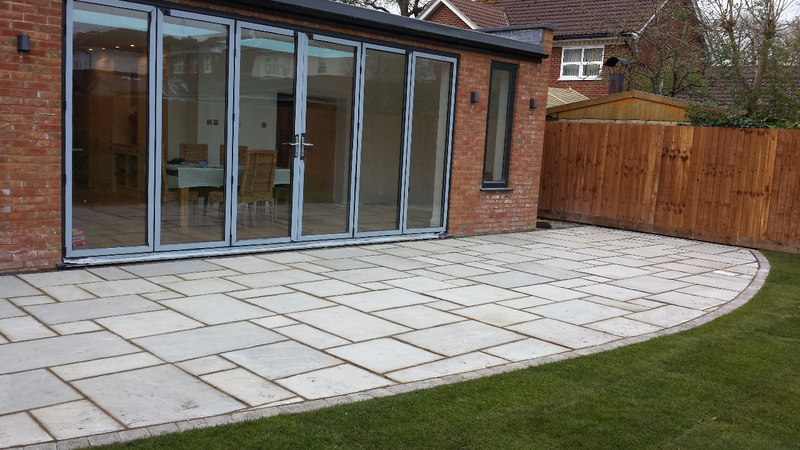 New patio area laid using Natural Stone slabs including block border with block paving pathways and 2nd patio area and remaining garden laid to turf with fresh top soil. Based in Aylesbury, Haydon Hill Paving are the No. 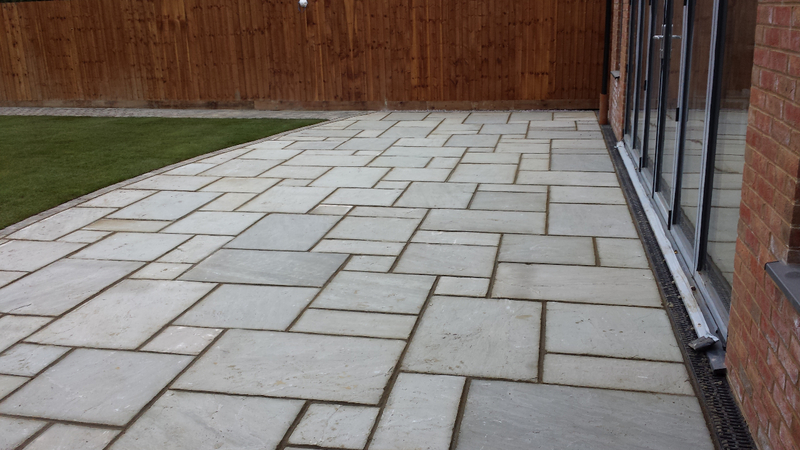 1 installers for driveways, patios and landscaping in Aylesbury. Also covering surrounding villages, home counties and Oxford. 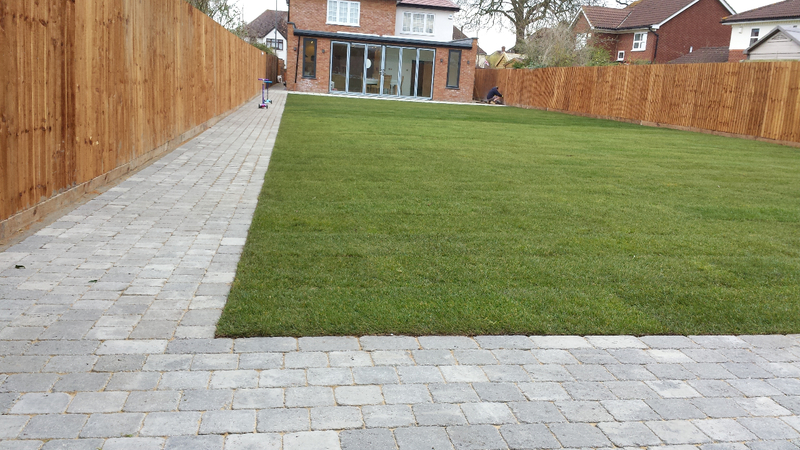 We take great pride in providing a quality bespoke service whether laying a new driveway or patio, to working on a landscaping project for residential or commercial. If you're looking for block paving, gravel, resin bond or Tarmacadam. We install in a range of quality materials from brick through to stone. 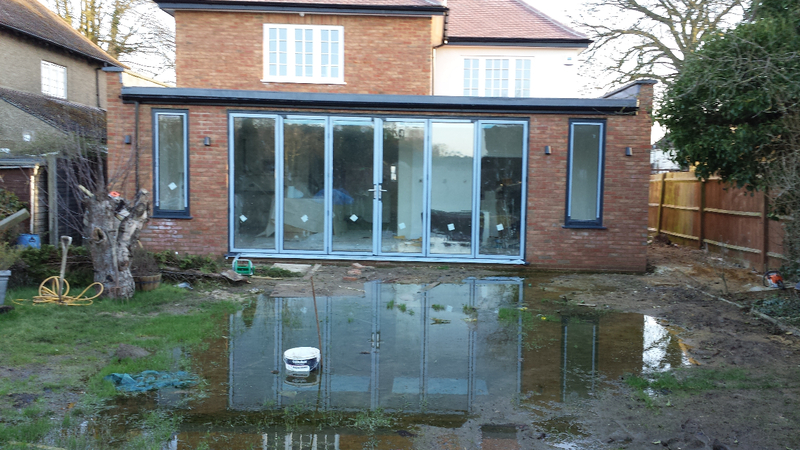 We welcome any customer to inspect our past projects, to see first hand our high standards of workmanship.